Designated a carcinogen in the 1970s and largely banned, asbestos can still be found in older homes. A little education can help you deal with its discovery and removal. Many older houses incorporate construction materials that contain asbestos. Usually its presence is uncovered during closing, when the house undergoes numerous inspections. Asbestos removal then becomes part of purchase negotiations. For home buyers who skip inspection to keep upfront costs low, asbestos discovery can be quite scary. After all, they’ve just learned that their beautiful slice of American history is contaminated. Asbestos, which occurs naturally, is a silicate-based mineral that has fire-resistant properties; there are six different types of asbestos. Until the 1970s, asbestos fibers were woven into or used in the manufacture of floor tiles, fire-retardant clothing, fire blankets, roof shingles, pipe insulation, and many car parts, just to name a few items. Federal regulation sharply curtailed domestic use of asbestos after it was designated a carcinogen. The material’s microscopic fibers enter the body through inhalation and cause the deadly disease mesothelioma. Asbestos is typically uncovered in the basements and attics of older homes. You would probably not recognize it, however, by visual inspection alone. But if your house was built before the 1970s, the chances are likely that the vintage floor tile you want to replace or that weird-looking pink insulation around your furnace contains asbestos. Just because you have asbestos in your home doesn’t mean you are being exposed to it. If the asbestos-containing material is intact, untouched, and unreachable, it is unlikely to cause harm to you or your family. Leave it alone and it will leave you alone. If the material is cracked or crumbling, but still untouched and unreachable, it can be sealed off—encapsulated—and left alone. If, however, you discover asbestos during renovation, it’s time to stop work and immediately seek professional help. When you uncover asbestos that you can’t avoid or encapsulate—perhaps it’s in a wall you want to knock through or in those tiles you’d like to pull up—find a certified asbestos consultant in your area and request a home evaluation. The cost of removal, which is in the thousands, is determined by the amount of asbestos that has to be removed. Asbestos abatement is not cheap and may alter your renovation plans. Homeowner’s insurance policies typically do not cover removal. Always check with your state agencies to see if they provide any sort of funding—grants or loans—to assist with asbestos removal. Professional asbestos removal involves sealing off the affected area, encapsulating the asbestos-contaminated material, and then safely removing it from the site. 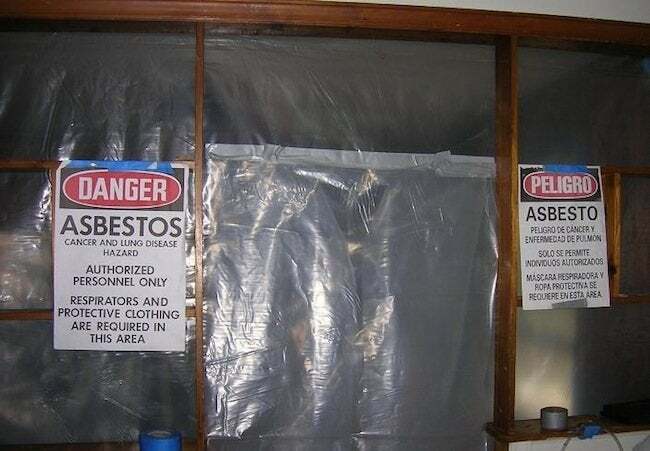 To ensure that there is no conflict of interest, be sure to use one asbestos professional to evaluate your home and a different asbestos abatement firm to do the actual work. Always ask for proof of certification and get copies of all the paperwork that documents that your asbestos was removed in accordance with state and federal procedures. Photos of how materials were handled and removed should also be included in documentation. Many people are convinced they can remove asbestos from their home safely without calling in the experts. This is not recommended and could endanger your health and your life. There’s more to removal than spray bottles and dust masks. 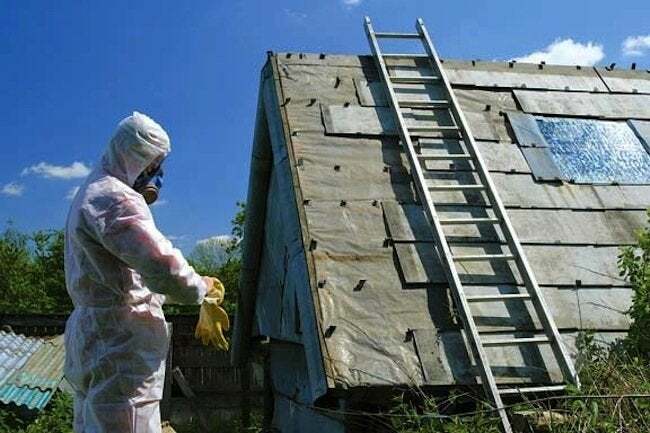 If you want to become certified in asbestos removal, the Environmental Protection Agency (EPA) provides a list of approved state contacts to get you started. Asbestos education is the best way for DIY fans to keep their renovation projects safe and their homes healthy.